This sketch was likely part of the process by which Trego arrived at the full face finished portrait of his friend “Mattie” Dowlin in 1904. Unlike the final version, which flattered her, this profile study is straightforward and literal. 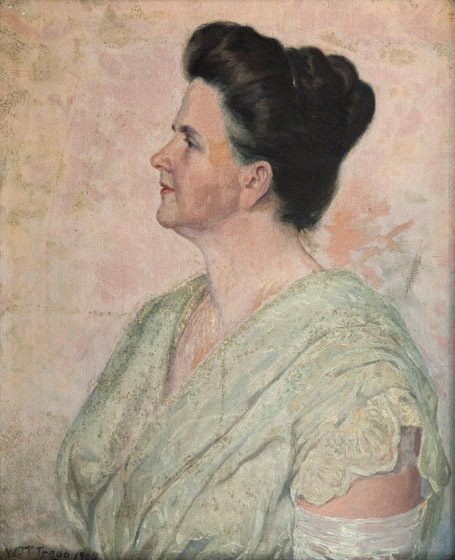 The painting was obtained from the artist by Martha Anders Dowlin and passed directly to her grandson. It is currently held by his estate. The painting is in good condition, though it would benefit from a cleaning.